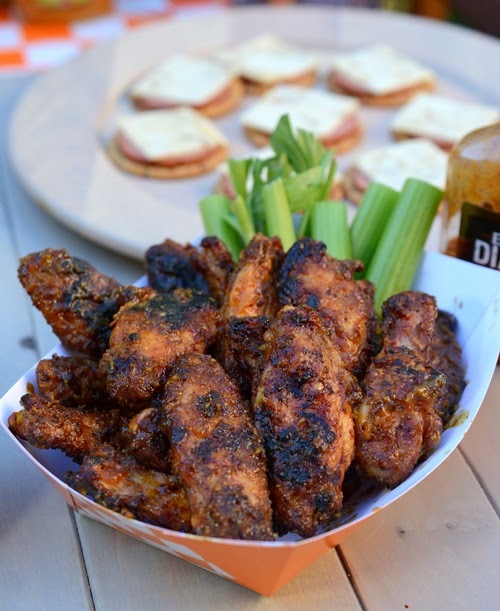 If you are going to a tailgate, chances are that you are going to see some wings. Typically they are the buffalo sauce laden variety, which are good but sometimes you want something a lil' bit different. 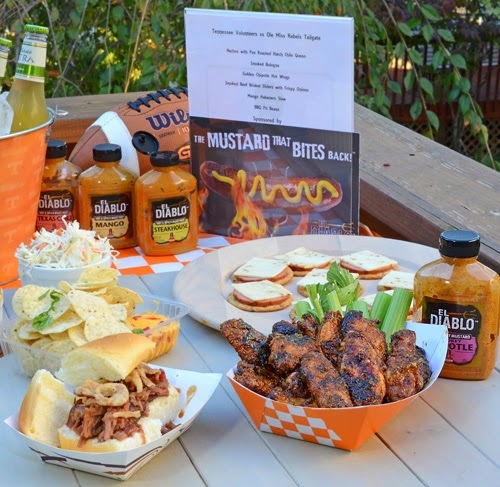 That is why I made these Golden Chipotle Mustard Wings for our tailgate at our son's house. 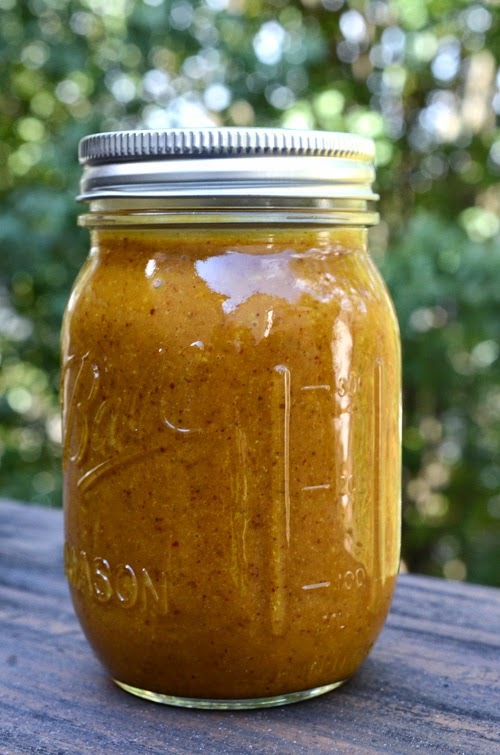 The Golden Chipotle Mustard Wing Sauce isn't that unusual if you hale from the mustard belt of South Carolina where they like to drizzle a mustard based BBQ sauce on their BBQ. Unlike the usual sweet ketchup based BBQ sauces, mustard based sauces pack a spicy vinegar punch. I tweaked that with a kick of chipotle by using El Diablo Chipotle Mustard. Make the sauce. Mix all ingredients in a medium sauce pan. Bring to a simmer and cook gently for 15 minutes, stirring occasionally. For a smoother texture, use an immersion blender to smooth out the sauce. Remove from heat. Set up a grill for indirect heat and preheat to 375°F. Season the wings thoroughly with the wing rub. 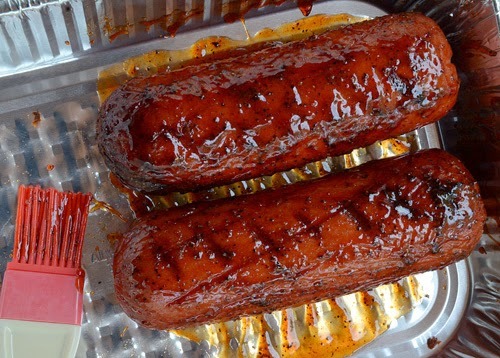 Place on the grill and cook for 30 minutes. Flip and cook another 20 minutes. 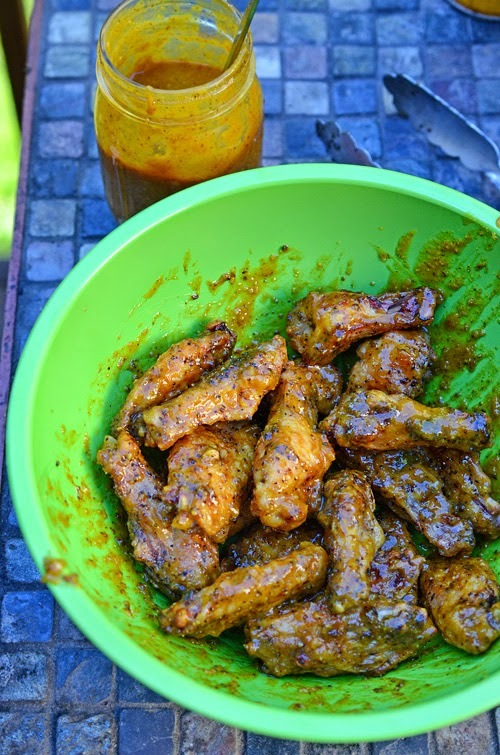 Toss the wings in the Golden Chipotle Mustard Sauce and return them to grill just long enough to cook the sauce onto the wings, 3-5 minutes. Remove and serve. 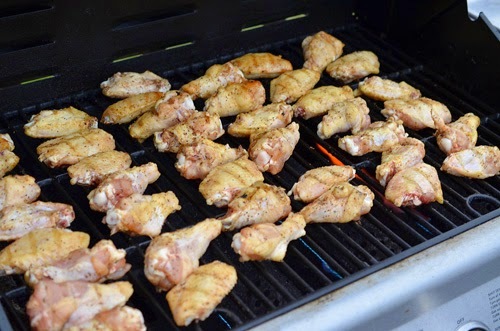 When I did the wings at the tailgate, I used a gas grill at my son's house and grilled the wings direct at 350°F for about 30 minutes, turning frequently. This was tough because the wind was blowing so strong that it actually extinguished the gas flames once during cooking - I've never seen that happen before. But you can do this recipe indirect as written or direct. You can also use any wing rub you like. Here I used a simple salt, pepper, and garlic rub instead of the spicy one linked. Doing this batch of wings on my kamado grill. To get an indirect set up on a kamado grill, use a plate setter or a rig and pizza stone to block the direct heat. 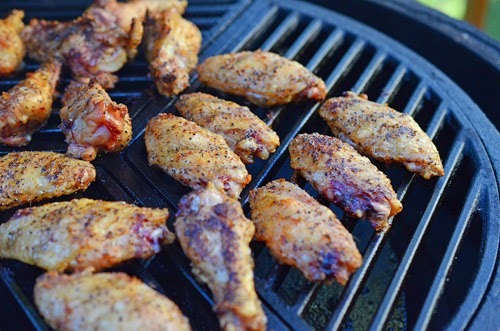 On a kettle grill you would bank the coals to one side and put the wings over the other side. 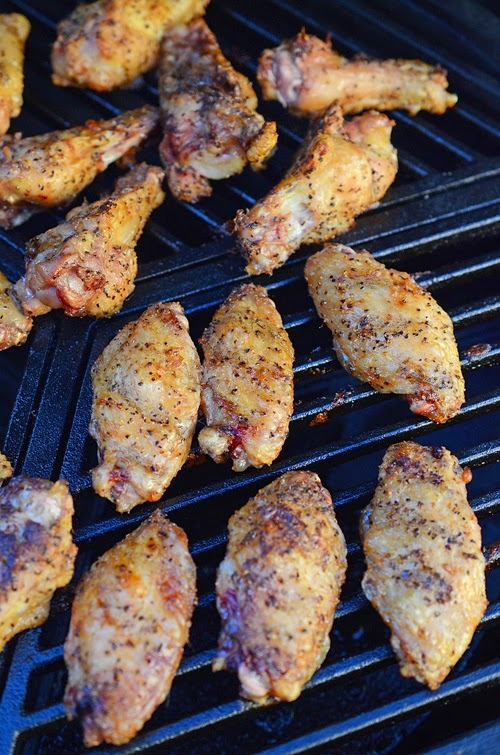 For a gas grill, you would turn burners on one end and put the wings on the other end. The indirect method is more forgiving that cooking the wings direct like I did at the party but it does take almost twice as long. 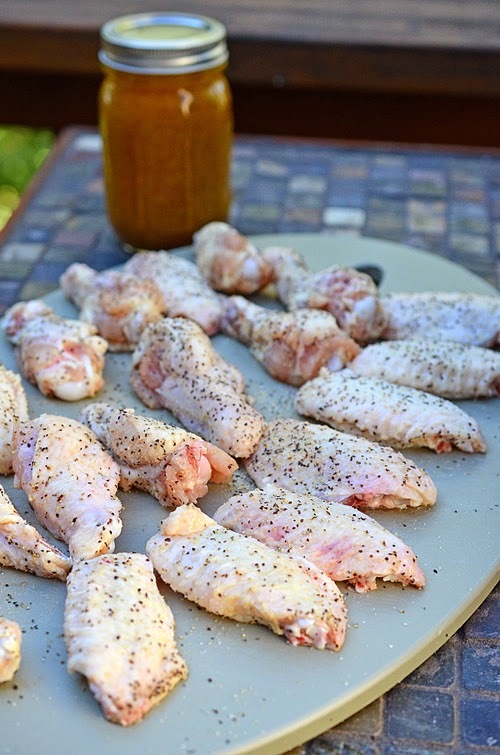 Just add the sauce and toss or spin the wings around in a large bowl until well coated. 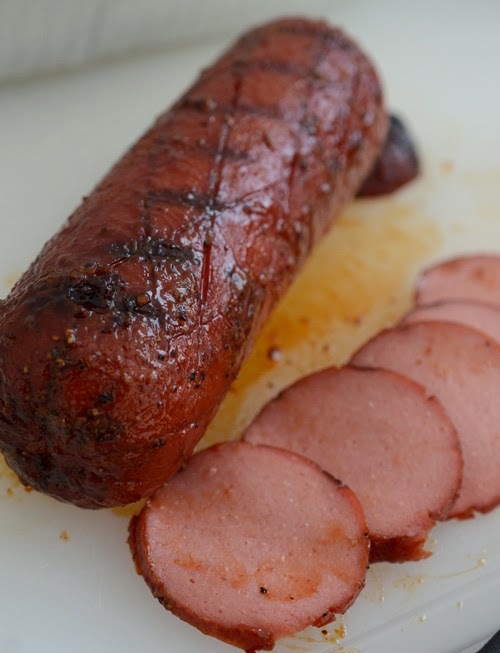 BBQ enthusiasts know how wonderful smoked bologna. 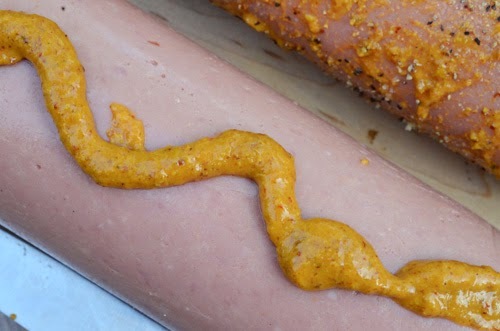 It is a simple recipe that takes a chub of ordinary bologna and amps it up with mustard, BBQ rub, and smoke. The first time I ever had it, I could not believe it was the same lifeless lunch meat that makes sad sandwiches. Using spicy El Diablo Mustard makes it just that much better. And to really go nuts? After smoking and slicing it, fry it up in a skillet for sandwiches. To die for. Score the bologna chub diagonally both ways. This opens it up for flavor to get in. 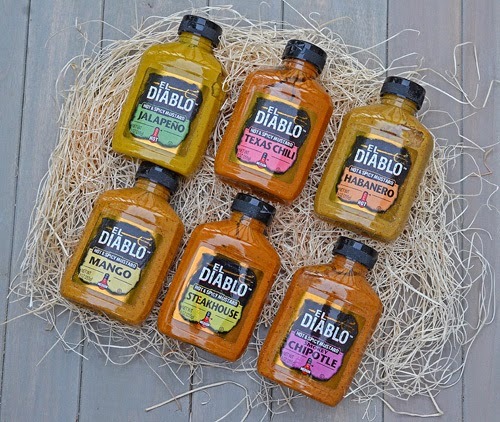 Look at all of that seasoning in the El Diablo Mustard. Slather the chub with mustard and then season with your favorite BBQ rub. Smoke indirect for 90 minutes to 2 hours. 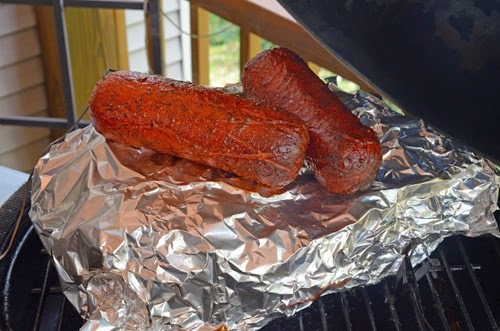 Brush your favorite BBQ sauce onto the chubs and put back onto the smoker for another 15-20 minutes just to set the sauce. 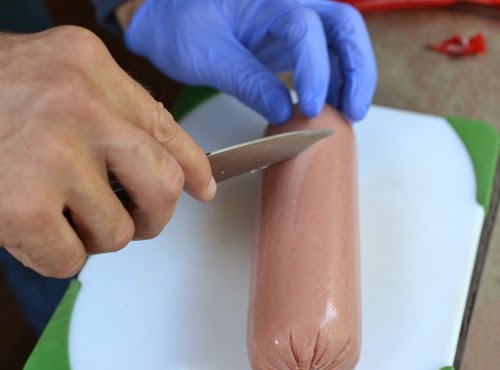 This turns ordinary baloney into something extraordinary! We did these for appetizers so I used the small chubs but for lunch meat we use the full sized chubs of baloney. Yes, I spelled bologna both ways in this post. I'm a rebel like that. 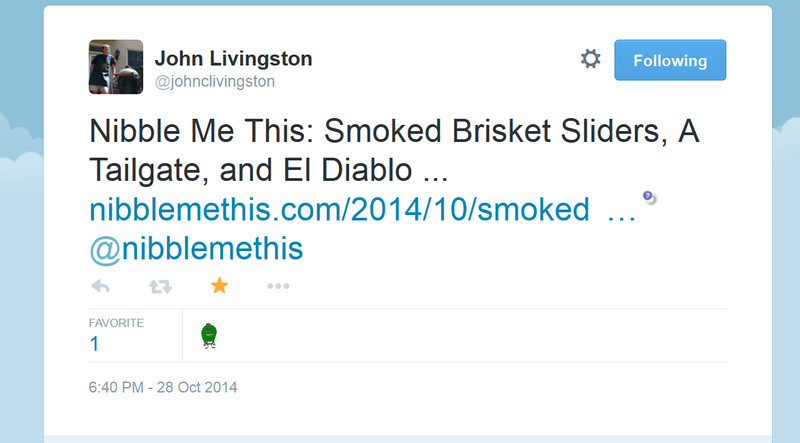 Congratulations, John! Email me your contact information and we will have El Diablo ship your prize out asap.